Jeffrey Alan Marks Collection. 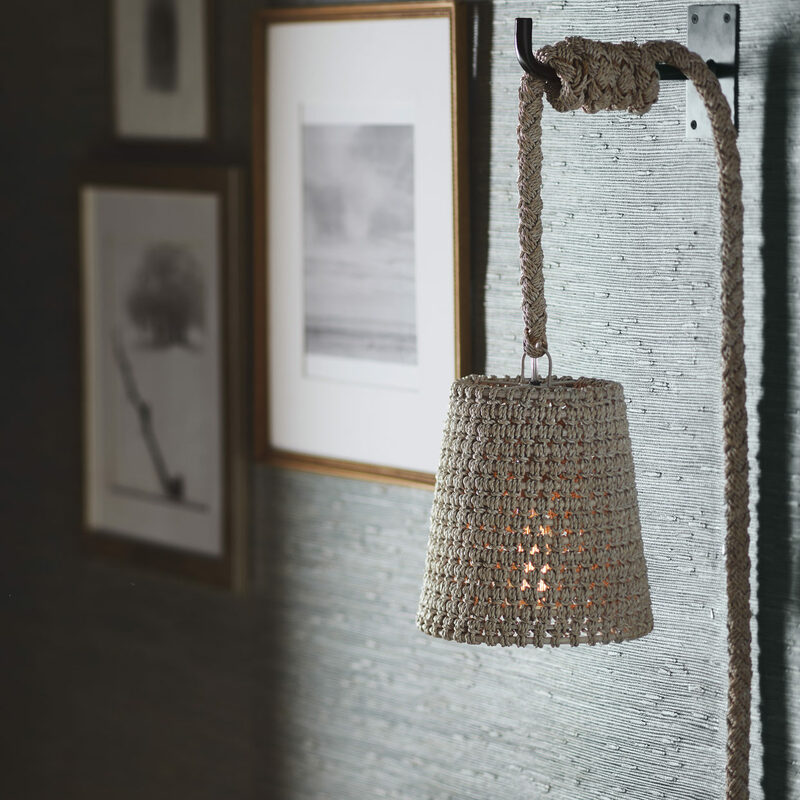 Pendant is intricately woven with a core rattan frame and abaca rope in a white sand finish. 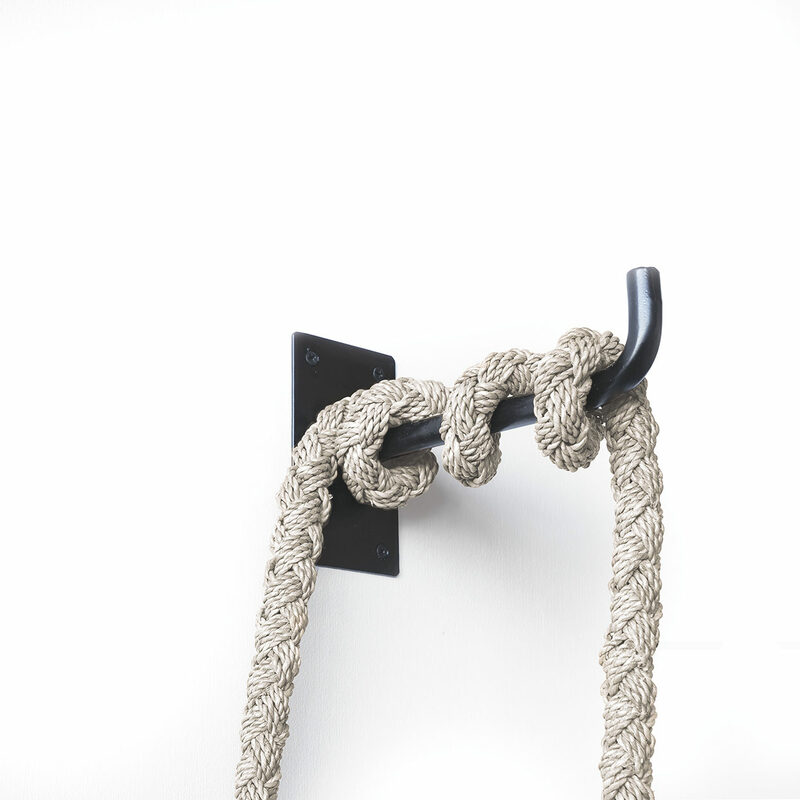 Black metal wall mount included. 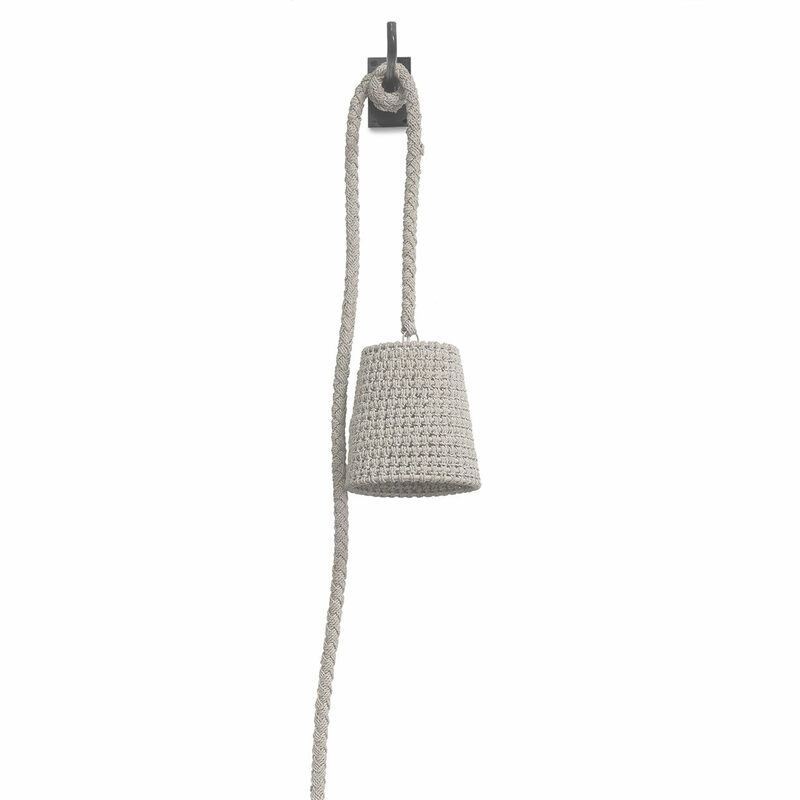 Plug-in pendant with average cord length of 22 feet.